Stars of David, Beth Schorr Jaffe’s first novel, is a well-crafted story about family secrets. When Adam Oppenheim is asked to fly to China to pick up the last remains of his autocratic uncle, cantor David Kaplan, Oppenheim begins a journey of revelation that threatens to alienate his already distant family even further. David Kaplan has been feared and hated by his children and his nephew, who suspects collusion of some sort in his own father’s suicide. For thirty years, secrets have been kept that affected many households, sent a daughter in exile to Israel and an invalid son into self-imprisonment. In China, Oppenheim finds bits and pieces of a journal that his uncle kept in Hebrew, his cousin finds another set of documents from his father, and a third is kept by a rabbi in Shanghai. Slowly, all three bring the bits of Kaplan’s life into focus and recriminations and betrayals give way to forgiveness and soon reveal great caring. Jaffe has the ability to capture the dysfunctional personalities in this family, making them realistic and believable. She also weaves the plot skillfully like a fine mystery with layers of understanding coming through the document translations and the reports of people who knew Kaplan better than his own family. Frankly, I could not put this book down. These characters were so interesting and each page revealed more and more about each of their experiences with David Kaplan. I was frustrated when the characters were frustrated. I also laughed at their foibles, especially Oppenheim’s wife when her son told her he was gay. The poor woman just kept digging herself into a hole in her effort to be accepting! The remarkable strength of this first novel by Beth Schorr Jaffe gives readers a glimpse of what is to come from this talented writer. I can’t wait to see what else flows from her pen. Janie Franz is the author of Freelance Writing: It’s a Business, Stupid!, Relaxation Techniques for Children, Relaxation Techniques for Adults; Co-author of The Ultimate Wedding Reception Book and The Ultimate Wedding Ceremony Book. Coming Soon: The Ultimate Wedding Workbook, Get Rich on Love, and Sacred Breath (a sound recording of relaxation meditations). Beth Schorr Jaffe, a New Jersey resident who enjoys incorporating historical themes and stories into her works of fiction, has done just that with the publication of her first novel, Stars of David. The work explores the secrets of a renowned cantor who causes trauma and unbearable pain for the next generation of his family. “In this particular Jewish family, the finger of fault keeps pointing to one man, but no one seems to know exactly what he has done wrong or why,” Jaffe told NJ Jewish News. The author will make appearances this fall at area bookstores. She is married to orthopedic surgeon Leonard Jaffe and has two grown sons. “Intrigued with the evolution of secrets and bad choices that travel through generations of families — how they can imprison a family if left unspoken and unresolved and how shame takes on a life of its own — I wanted to create a story that would strain my characters’ willingness to understand and forgive, not only others, but also themselves,” said Jaffe. She explained that she was inspired to write the book by a relative who she believed was physically and emotionally imprisoned by a family member. The characters, who all carry a great deal of baggage, include Eli Kaplan, the cantor’s seemingly disabled yet highly intelligent son, whose mother died while giving birth to him, and his older sister, Liora, whom their father, without explanation, sent away to live in Israel at the age of 16. The character of Adam Oppenheim, Eli and Liora’s first cousin, becomes entrenched in their saga when Eli begs him to go to Shanghai to retrieve the body of his father, who has mysteriously passed away there. Shanghai became the cultural backdrop of the novel after Jaffe was introduced to the experience of Jews living in China’s largest city by friends. She researched Jewish life in China by corresponding on-line with Lubavitch emissaries Rabbi Shalom and Dina Greenberg, who are posted there. The majority of the story, however, is based in New York’s boroughs, detailing thoroughfares that Jaffe, a Brooklyn native, knows well. 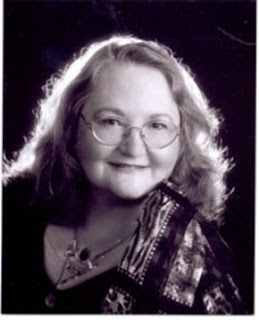 While Stars of David is Jaffe’s first published novel, she is also the author of fiction, nonfiction, and poetry that has appeared in Chocolate for the Women’s Soul (Simon and Schuster/Fireside), Escaping the Yellow Wallpaper(Haworth Press), anthologies from Breakthrough Press and Fairview Press, and literary journals such as Kalliope.